Last week, anti-racist educator and activist Tim Wise spoke at GVSU and participated in several programs on campus. GRIID was able to sit down with Wise and talk about a variety of issues, particularly as it relates to West Michigan. The following interview includes questions about the difference between White Supremacy and racism, the failure or limitations of diversity training, gentrification, the creative class, the BDS campaign against Israeli Apartheid, the importance of doing intersectional analysis and movement building and the topic of his next book. 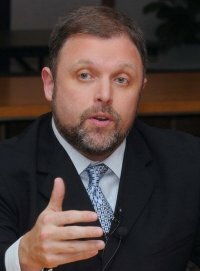 The interview with Tim Wise is 36:49.